Programming languages are the driving force behind the Web. Simply put, programming languages make things work on the World Wide Web. It’s difficult to determine programming languages which are utmost popular, because particular web languages are used for particular types of websites and web applications. 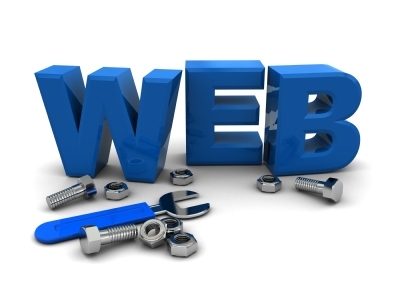 The growth of web development industry gave birth to various web programming languages. The programming languages beginnings date back to 1950s, so there have been 100’s types developed. We look at the languages used in most popular websites and applied in modern web development. “Before the summer of 2009, Objective-C was a programming language that was hardly known and used. Thanks to the success of the iPhone and later on the iPad, Objective-C started at that date with an incredible rally to the top. This resulted in two consecutive "TIOBE language of the year" awards in 2011 and 2012. However recently the popularity of Objective-C is not rising any more. For the first time since 2009 it loses a position in the index.” [source]. For web developers, the index may give understanding whether their programming skills are up to date. For clients, being familiar with top programming languages can help to realize how modern websites work and which web development company or a particular web programmer to choose for their new web project development. 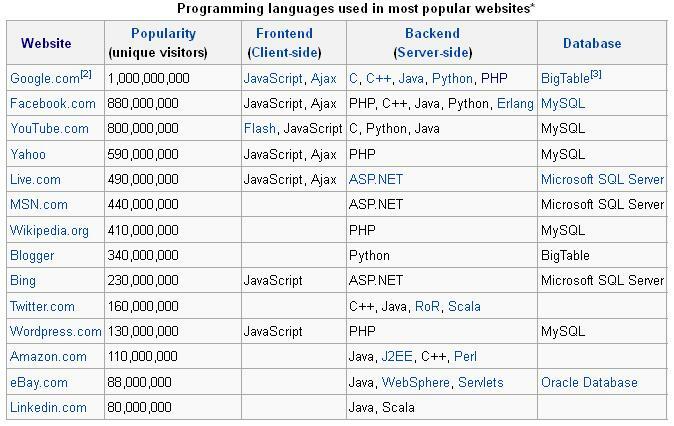 How popular and useful the programming languages are may also be determined by languages used in most successful and popular websites. PHP Programming is developed in 1995. PHP is a widely used server-side general-purpose scripting language designed for web development. PHP is now installed on more than 244 million websites and 2.1 million web servers. PHP allows developing dynamic web applications. This is an open-source, interpretive, cross-platform web language that can be embedded into HTML pages. PHP is available for most operating systems including Unix and Windows, and is an excellent server-side programming language for professional web development. C++ Programming started in 1983. It is a statically typed, free-form, multi-paradigm, compiled, object oriented, general-purpose programming language. It is regarded as an intermediate-level language, as it comprises a combination of both high-level and low-level language features. C++ is one of the most popular programming languages implemented on many hardware and operating system platforms. As an efficient compiler to native code, its application domains include systems software, application software, device drivers, embedded software, high-performance server and client applications, and entertainment software such as video games. C# Programming was developed in 2000. Multi-paradigm, structured, imperative, object-oriented, event-driven, functional, generic, reflective, concurrent programming language developed by Microsoft. C# is intended to be a simple, modern, general-purpose, object-oriented programming language. The most recent version of the language is 4.0 which was released in 2010. C# is suitable for writing applications for both hosted and embedded systems, ranging from the very large that use sophisticated operating systems, down to the very small having dedicated functions. JAVA Programming was developed in 1995. JAVA is a general-purpose, concurrent, class-based, object-oriented computer programming language that is specifically designed to have as few implementation dependencies as possible. Object-oriented, structured, imperative, generic, reflective. This is a programming language and computing platform with the underlying technology that powers state-of-the-art programs including utilities, games, and business applications. Java has proved its usefulness for thousands of applications long before the rise of native mobile apps. It’s one of the most flexible programming languages, useful in most operating systems. If building desktop-based apps and/or Android mobile apps will be your niche, then Java the best programming language for that purpose. There are multiple languages like php, java, c, C++, Python, Java tat are used to develop web based applications/ websites. The other day, I was discussing (http://highweb.blogspot.in/2013/04/web-programming-languages-popularity.html)with my colleagues and they suggested I submit an article of my own. Your site is just perfect for what I have written! While there are things I dislike about the language, there are also things I like about the language. Compared to many of the other OO languages, like Java, C++ has better support for the functional programming style. Nice content presentation! Thanks for putting the efforts on gathering useful content and sharing here. You can find more Programming languages related question and answers in the below forum.